Bob Stanley was America's first Gold pilot, an accomplishment he reached in 1939. He was also a test pilot and engineer having been the first American to fly a jet aircraft as a civilian test pilot for Bell Aircraft. He flew the Bell XP-59A Airacomet, the first U.S. Turbojet, at Muroc Dry Lake, CA (now Edwards Air Force Base) in 1942. Robert M. Stanley was born in Oklahoma in 1912 and attended public schools in Oklahoma and California. He graduated from Los Angeles City College in 1931 and received a Bachelor of Science degree in aeronautical engineering from the California Institute of Technology in 1935 where he was a member of the Honors Section. 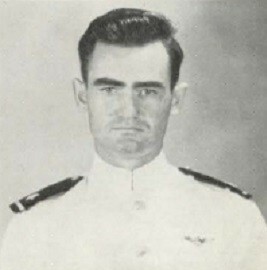 He joined the Navy after graduation and earned his wings as a Naval Aviator in 1936. An early tour of duty was on the USS Lexington where he joined the search for the missing Amelia Earhart and received a commendation for his work as the ship's cartographer in the vicinity of Howland Island (a planned intermediate stop on Earhart's flight around the world). His tour with the Navy ended in 1939. During the tour on the Lexington, Bob Stanley designed the Stanley Nomad - a mid-wing, V-tail single seat glider and then built it in the basement of a house in San Diego which he shared with other sailors. The Nomad has a monocoque aluminum fuselage, a single spar wood cantilever wing and wood tail. Both the wing and tail are fabric covered. He completed construction in 1938 but the V-tail, one of the first used on any aircraft, was added in 1939. He completed the Nomad barely in time to compete in the 9th National Soaring Contest in Elmira, NY in 1938. With no previous cross-country experience, on the first day of the contest, he flew 144 miles in a six hour and eight minute flight reaching an altitude of 6,380 feet (which exceeded the national record at the time) and also qualified for his Silver Badge #12 (Intl. #872). He placed 8th in this - his very first contest and flying a new sailplane. 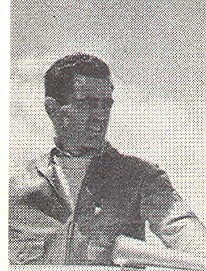 He returned to Elmira in 1939 and flew the Nomad, now with a V-tail, to a new national altitude record of 16,400 feet (4,907 meters), more than doubling the previous record. The following day, he did it again climbing in a thundercloud to 17,284 feet (5,254 meters). Note - In those days they apparently measured altitude above release so his actual altitude was approximately 20,000 MSL. He was equipped to fly in these clouds because he was one of the few pilots in America with an instrument rating. However, he encountered enough hail in the last altitude record to damage the wing and crack the canopy. He could have flown higher, perhaps to 30,000 feet, but he did not have oxygen, his instruments were becoming sluggish and he was very cold. His comment, "Nature in the raw is seldom mild." Bob had been an instrument instructor for the Navy's flight training program at Pensacola for 15 months prior to his discharge in October 1939. He joined United Aircraft Corp. and demonstrated the company's new dive bomber in Rio de Janeiro and Buenos Aires. Next he was assigned to its Vought-Sikorsky Division as an aircraft designer but left that position in June 1940 to become chief test pilot at Bell Aircraft where he had responsibility for up to 20 test airplanes and associated personnel. He continued working for Bell during WW II but spent much of his time near Muroc, CA (now Edwards AFB) where he made the XP-59A flight, Oct. 1, 1942. He worked his way up in the company to Chief Engineer and then Engineering Vice President at Bell. He left the company in 1948 to form Stanley Aviation Corporation where he remained for the rest of his life. The company's specialty was the design of escape and survival systems. Bob Stanley earned Silver #12 in 1938 (Intl #872) and was the first American to earn the Gold Badge #1 (1939). He was awarded the Eaton Trophy in 1940. He served the Soaring Society as President and Vice President, and was on the Records Committee. He authored several articles for Soaring magazine on the Nomad, contests and instrument flying. He was a member of the National Aviation Hall of Fame and an Honorary Fellow of both the AIAA and SETP. 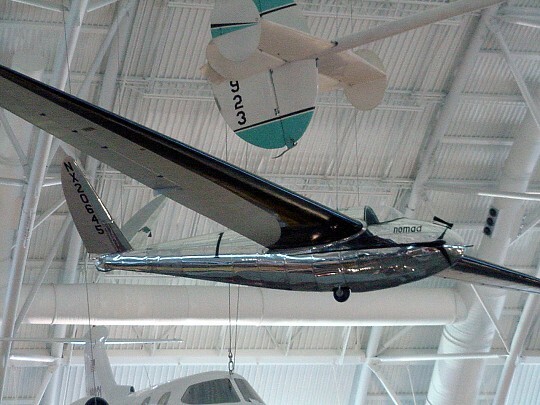 Above from Soaring magazine, National Aviation Hall of Fame and other sources.